Backpacking is a spectacular way to travel. It’s just you, your backpack and supplies, and the great outdoors. Often, backpackers can experience remote areas that mainstream vacationers can’t get to. Here, we’ll share 10 of the best places in the US to go backpacking. Mount Rainier National Park Wonderland Trail, Oregon – This 93-mile trail encircles Mount Rainier, the Pacific Northwest’s crowning jewel. 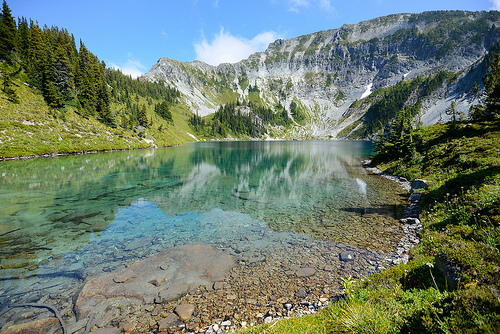 The hike is strenuous and traverses through lowland forests, valleys, and high alpine areas. Expect multiple elevation gains and losses. Kesugi Ridge in Denali State Park, Alaska – While Alaska is generally characterized by frigid temperatures and ice capped mountains, the weather gets much more manageable in the summer. Try this trail during the warmer months to experience fantastic views of Denali. The John Muir Trail – This iconic California trail passes through some of the “finest mountain scenery in the United States,” according to many backpackers and the Pacific Crest Trail Association. Look forward to 14,000-foot peaks, thousands of lakes, granite cliffs, and much more. The Lost Coast Trail – It’s hard to find a place in California without swarming crowds and miles of traffic, but the Lost Coast Trail is still untouched and rugged. There aren’t even roads to this beautiful trail. Grab your backpack and get ready for hidden beaches, expansive vistas, and pure solitude. The Four Pass Loop – This backpacking loop circles the beautiful Maroon Bells. Plan for a 3-4 day trip as you climb four 12,000-foot passes for a total of 26.6 miles. 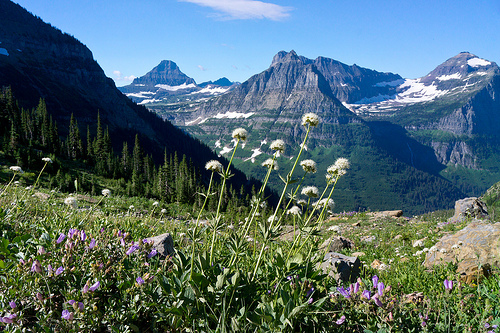 The Continental Divide – This trail is more than just a beautiful hike. According to the website, it is “one of the largest conservation efforts in the history of the United States.” Reconnect with nature on this unique adventure. Blue Lakes Trail – The Blue Lakes Trail is located just outside of Telluride, Colorado and features dramatic glaciers, wildflower meadows, and turquoise lakes. The Highline Trail – This trail is only recommended for very experienced adventurers because of its major elevation gains (more than 12,000 feet) and length (64.6 miles) and requires strategic preparation. It is definitely one for the backpacking bucket list, though! White Pine Lake – This trail is just outside of Sandy, Utah and is just over 9.5 miles long. Visit this beautiful trail from April until October for the best conditions! Pacific Northwest looks mesmerising and i would love to go there. These kind of place are heaven for backpackers. Thanks for letting me know about this beautiful place.